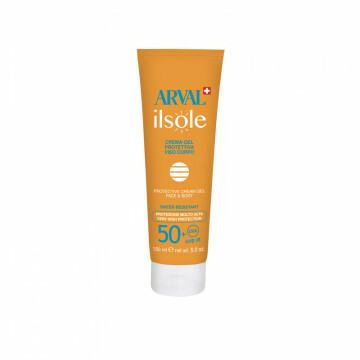 Arval Laboratories’ on-going research in dermocosmetics has led to the development of an exclusive line of suncare products to protect the skin from the sun and keep it radiantly healthy. A global defence system to fight the sun's harmful rays (UVA - UVB - IR) and inhibit premature photoaging. 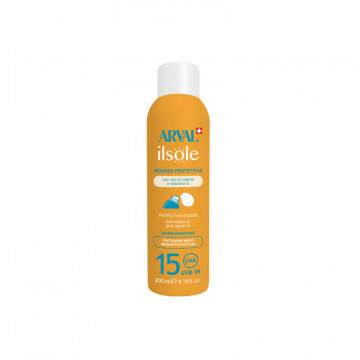 Ilsole, an extensive line of made-to-measure suncare products, meets the needs of every skin type with complete formulations to ensure effective protection and a long-lasting perfect tan. A new line of highly effective suncare products enriched with active dermo-protective and anti-ageing substances, for safe sunbathing. Ultra-sheer, super-transparent, fine spray lotion, for fast and practical application. Completely invisible, rapidly absorbed without leaving a residue on the skin. 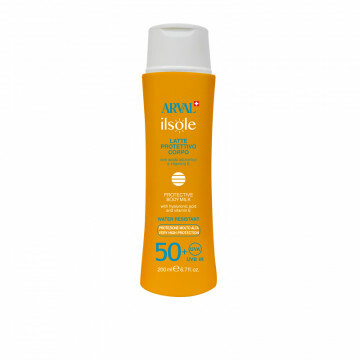 The non-oily formulation creates a..
A soft and creamy consistency that, thanks to a complex of active ingredients with a high antioxidant power, helps to effectively protect the skin from the harmful effects of solar radi..
A light, velvety lotion, which is quickly absorbed to protect the skin during exposure to the sun. The combination of selected broad-spectrum UVA-UVB filters and functional substances provides prote..
A fresh light gel emulsion, developed specifically to leave the skin feeling dry and silky, with no residue or stickiness. Latest-generation UVA - UVB filters provide perfect constant protection aga..
A fresh light gel emulsion, developed specifically to leave the skin feeling dry and silky, with no residue or stickiness. 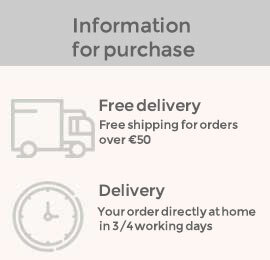 Latest-generation UVA - UVB filters provide perfect constant protec..